Posted on November 15, 2013 by Pat B. 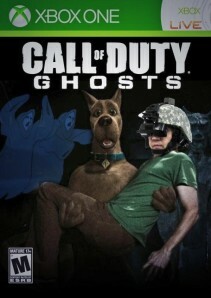 In the months leading up to the Call of Duty: Ghosts release, haters around the world spent a lot of time and energy flooding the Internet with silly memes making fun of the new combat dogs making their Call of Duty debut. They delighted in the fact that Infinity Ward had seemingly run out of ideas and was using dogs to breathe new life into the long-running franchise. 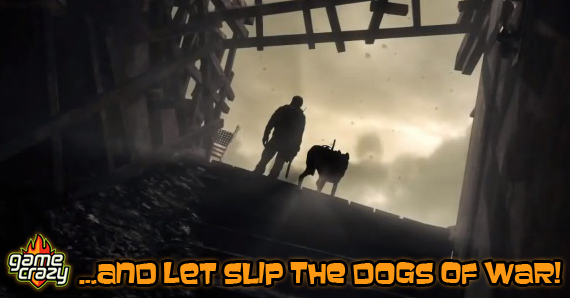 Well, now that the game has been released and we’ve all had some time to play it, I think we can all agree on one thing – in Ghosts, dogs are truly a player’s best friend. 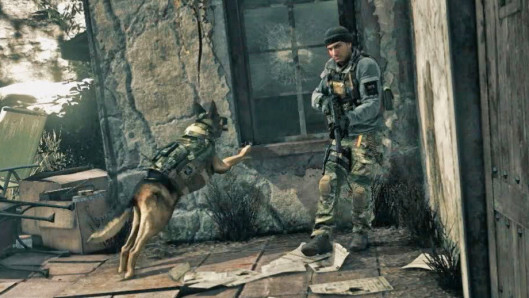 In the new single player campaign, Riley the combat dog is by your side through a handful of missions. But he’s not just some pet you’ve brought along for the ride, he’s an integral part of the game. In certain missions, you use Riley to scout ahead for enemies and, if needed, eliminate them. Have dogs been in video games before? Yes. Have you ever been able to play as one, stalking down an enemy soldier and, when the time is right, jumping out of cover to rip his face off without anyone noticing? Not until Ghosts. Wanna clear a building before you go in? No problem, send Riley through the window and he will take care of it. Riley is extremely lethal and nearly undetectable when stalking through various terrain. Anytime you “sync up” with the video equipment strapped to Riley’s back before you send him into action, you get a feeling of invincibility and safety, as you know that any enemy that crosses his path stands no chance of surviving the brutal mauling. The only problem is that Riley’s not utilized enough. 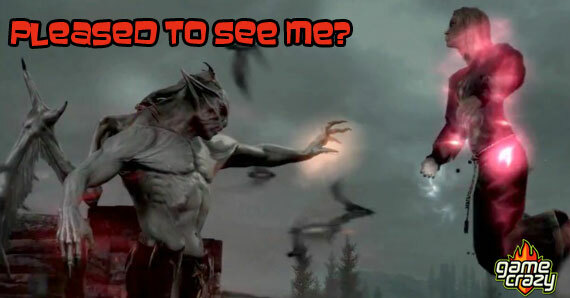 I found myself getting all giddy anytime I was prompted to “sync up” with Riley, and that’s what made me realize that all the new bells and whistles in Ghosts are nice, but nowhere near as exciting as using Riley. Here you can se all of the gear that’s strapped to Riley, including the camera on his back that you “sync up” with. 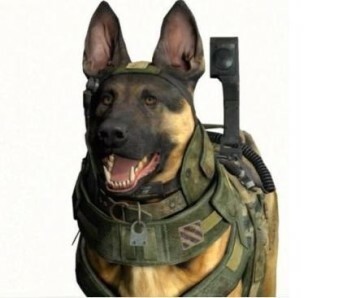 Riley the combat dog really earns his milk bones in the multiplayer modes. He allows you to do something rare: depend on him. When you rack up enough kills to call in Riley, he instantly secures a perimeter around you. If anyone gets too close, he barks and then proceeds to eat them for lunch, and he does this on his own. Also, Riley has to be killed in order for you to lose him, even if you die. In multiplayer, Riley stays by your side no matter where you go. If you die, Riley will kill the person that killed you if they’re nearby, and then come find you where ever you respawned. As sad as it is that Riley can be killed, he does take more damage than human players, so if you come across a player that has a dog by his side, you better run or make your shots count, because if you don’t, you’re going down. Riley is a natural fit for the Call of Duty franchise and his integration into the game play is executed perfectly. 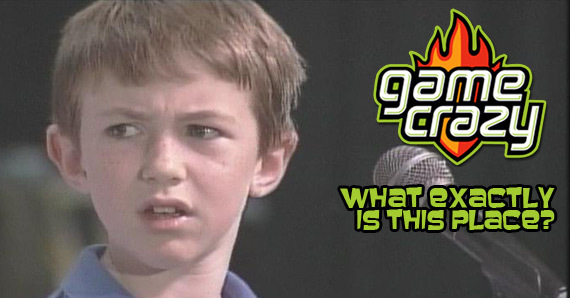 Hopefully, his outstanding performance in Ghosts earns him a regular spot in future Call of Duty games. If not, I hope someone makes a game where Elizabeth from BioShock Infinite adopts him and constantly tosses him treats. This entry was posted in Review, The GC Blog and tagged Call Of Duty, call of duty: ghosts, Reviews by Pat B.. Bookmark the permalink.